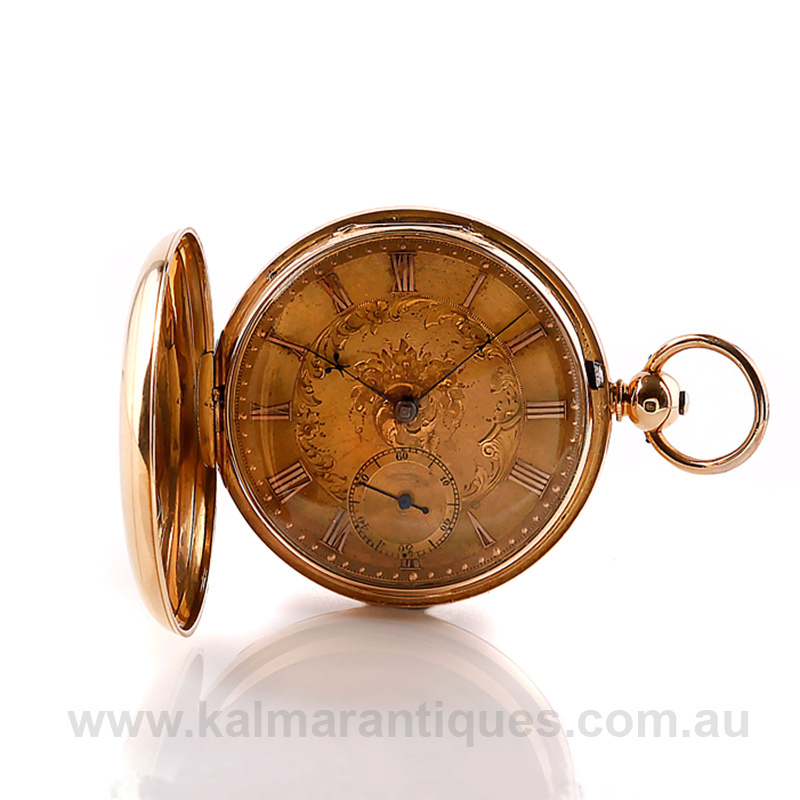 Product code: ES5911 Categories: Sold Items, Sold Pocket watches. In perfect working order comes this antique pocket watch made by John Taylor in 1852 in a solid 18ct yellow gold case that feels wonderful to hold in the palm of your hand. Measuring a wonderful 51.8mm across by 73mm from the bottom to the top of the bow, this full hunter pocket watch has a great looking dial and the movement has just come back from a full restoration and comes with our twelve month warranty. When you see the movement and consider that it was made over 160 years ago and was made without any modern technology and keeps great time, this is a real achievement to what could be created. If you have been after a handsome solid gold antique pocket watch with charm and character, then this one really does tick so many boxes.